Close on the heels of BJP president Amit Shah saying that those whose names are not in Assam’s draft National Register of Citizens (NRC) – most of them Muslims – are "intruders", as they have failed to prove their Indian citizenship, a nervous Congress appears all set to adopt what many critics qualify a soft Hindutva approach. At recent closed-door meeting of the Congress Working Committee (CWC), the view has reportedly went strong that BJP may win the perception battle, hence the Congress should “change its stance” on NRC, and try to placate the BJP by “consciously ensuring” that party leaders don’t make “provocative statements” or seek to highlight that the BJP is using the draft NRC to target Muslims. Following the CWC meet, Congress spokesperson Randeep Surjewala, addressing media, insisted that the party was committed to the 1985 Assam accord signed by Rajiv Gandhi, pledging the party’s wholehearted support for the NRC process for which, he said, Manmohan Singh had sanctioned a whopping sum of Rs 489 crore and appointed 25,000 enumerators. At the CWC meet, the view went strong that nothing should be done that can give an handle to “propagate” the saffron party’s “communal agenda”, adding, it was agreed that the Congress should declare NRC is its baby, since the process of identifying “illegal citizens” in Assam was initiated under Manmohan Singh. 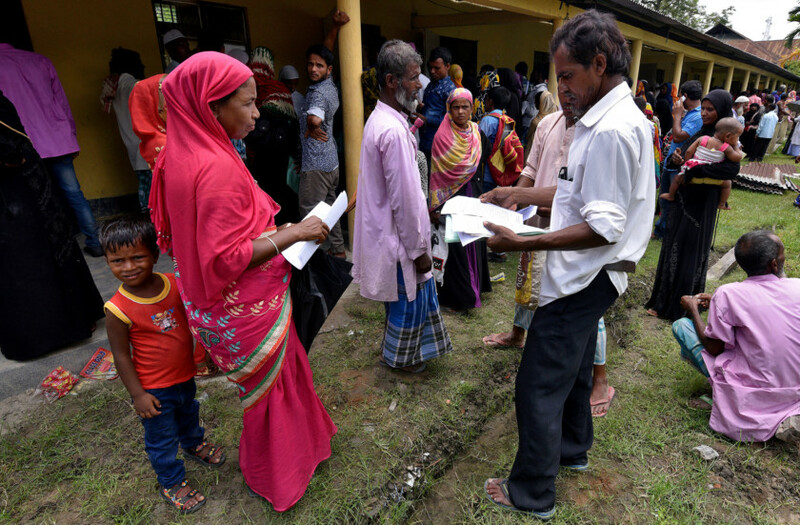 At the same time, it was decided, that the party shouldn’t leave no stone unturned to provide legal help to genuine citizens whose names have been left out of the NRC, the report says, adding, the Congress’ position was “firmed up” following Shah trying to make the draft NRC report a national poll issue. Shah declared in Parliament, as also in a press conference, that it is only his party, which has shown the courage to implement the NRC and curb illegal infiltration at a time when the Congress “failed” to act on it even though the Assam accord was signed by Rajiv Gandhi in 1985.